If you’re a fan of old school hip-hop music or new school a cappella music, chances are you’re familiar with beatboxing, a vocal maneuver in which people imitate drum, cymbal and other percussive sounds with their mouths. You don’t have to listen to much beatboxing to come to the assumption that doing it frequently and for extended periods of time would probably be hard on the vocal cords — even more so than singing — but is that really the case? The results were a bit surprising. Researchers found that, although there are some similarities between how singers and beatboxers use their vocal cords, beatboxing uses the entire vocal tract — including the muscles that control the pharynx — to make sounds, whereas singing basically uses only vocal cords. This means that beatboxing allows the stress to spread out, minimizing the impact on any one part of the throat and reducing the risk of vocal damage. Further reducing the risk is the fact that the beatboxers in the study tended to keep their glottis — the space between the vocal cords — open, which also lowers the amount of stress on the cords. The researchers suggest that singers can learn a thing or two from beatboxers. By using more of their vocal tracts, singers could reduce strain and help their voices stay stronger over long periods of time. The team plans on expanding the study to female beatboxers, since women’s larynxes are smaller and have a different shape from men. 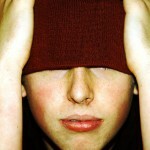 Posted in Blog | Tagged beatboxing, music, singing, vocal cords, voice | Comments Off on Is Beatboxing Bad for Your Voice?